Rock Spring Farm was a family-owned, certified organic farm located in the Driftless Region of Northeast Iowa, just south of the Minnesota state line. 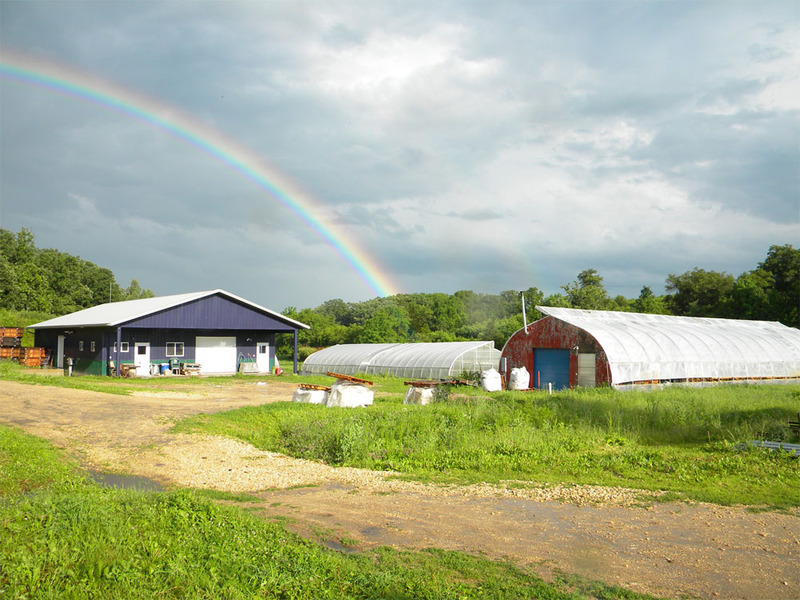 Founded in August of 1999, the farm quickly earned a reputation for producing high-quality vegetables and herbs. Before winter set in, we had built two large, mobile greenhouses for producing greens year-round without any supplemental heat, and made our first sales in December of that year. Before we purchased the operation, the farmhouse had been abandoned for several years and the farm was in a general state of disrepair. 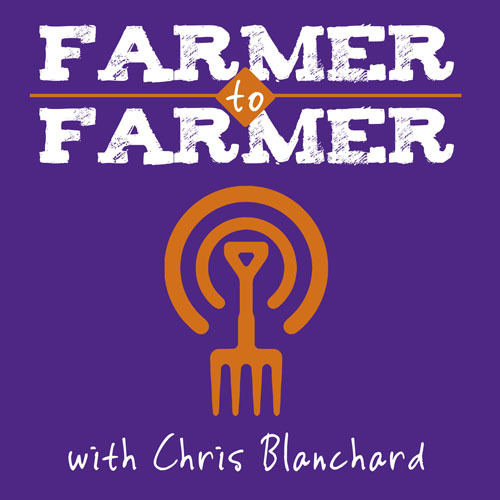 We worked hard to renovate the house and farm buildings, as well as to transition the fields from conventional corn and soybeans to a thriving environment for organic vegetables. 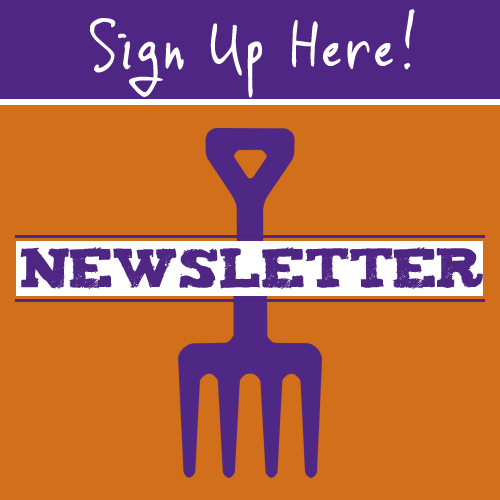 We grew the operation quickly, marketing through a CSA and farmers markets in Rochester and Decorah before expanding to the Twin Cities in 2001. That year, we certified our transplant production as certified organic; the entire farm completed its transition to certified organic production in the spring of 2002. Rock Spring Farm closed is 2013 so Chris could concentrate more on his educational and outreach work for farmers and their farm businesses. 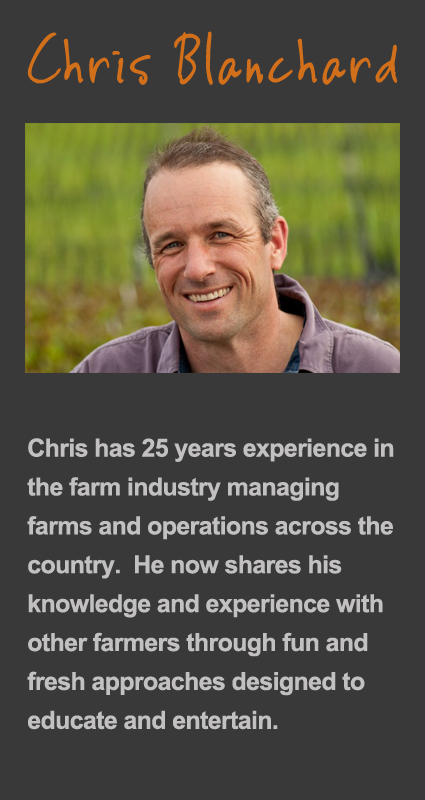 Chris uses his experience at Rock Spring Farm to provide consulting, coaching, speaking, and writing to groups and individuals about farm finances, effectiveness and productivity, marketing, business planning and development, post-harvest handling, food safety, greenhouse crop production, and more.